A high-profile campaign to increase public awareness of child sexual exploitation has been extended to Craigavon. ‘The More You Know, The More You See’ campaign aims to make the public aware of the signs of exploitation and how to act on them. Craigavon Policing Community Safety Partnership (PCSP) is working with local group Freedom Acts to spread the message. Child sexual exploitation is a form of abuse which sees children and young people manipulated or forced by their abuser into taking part in some form of sexual activity in return for something the young person needs or wants, such as affection, alcohol, drugs or accommodation. It can happen to any young person regardless of background. Plans are under way for the delivery of training sessions to youth and community groups, taxi, bus and train representatives, PCSP and elected members, hospitality, leisure and health representatives and schools forum. The campaign website www.safertoknow.info also provides information on how to get advice and help if anyone is concerned about a young person. 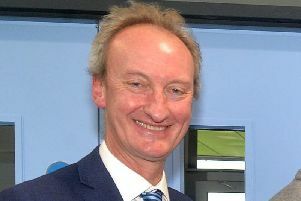 The initiative was set up by the Safeguarding Board for Northern Ireland and is funded from the Department of Justice’s assets recovery community scheme. Mel Wiggins from Freedom Acts said it was the responsibility of the whole community to protect young people.